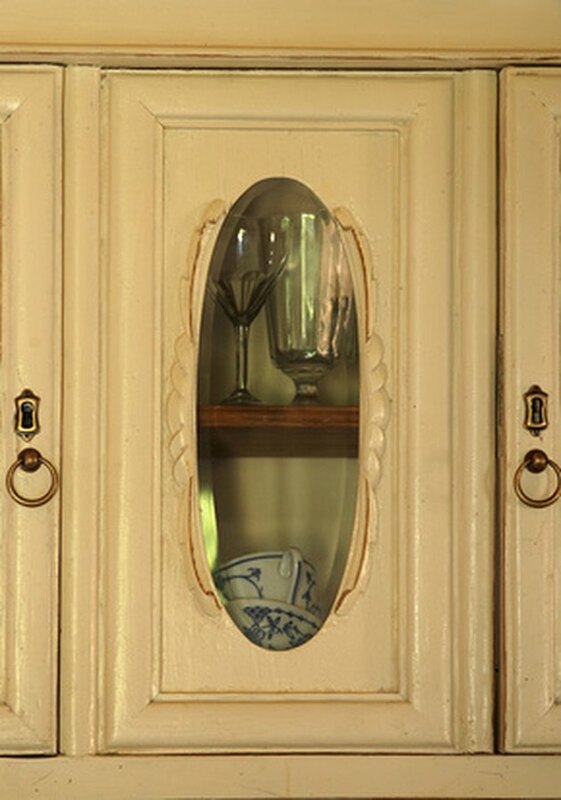 Kitchen cabinets and cupboards often accumulate grease from cooking and food preparation. 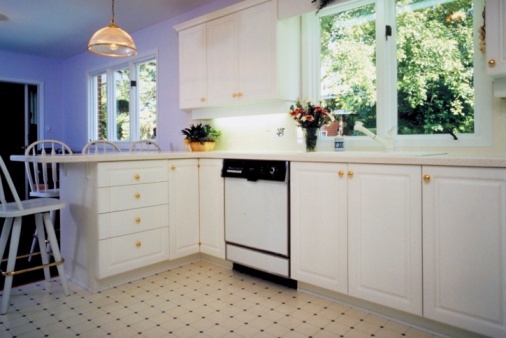 If not removed immediately, the grease builds up, often discolors the cabinets and leaves behind a sticky residue. You can remove the grease without purchasing expensive commercial de-greasing products. Not only do common household items effectively remove the grease, but they also save you money. And, since your homemade cleaning solution contains no harsh chemicals, it's better for the environment. 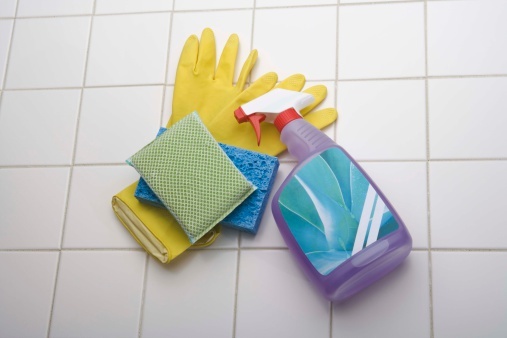 Remove grease from your kitchen cupboards with a homemade cleaning solution. Pour 1 cup of ammonia into a gallon-sized bucket. Add ½ cup of vinegar and ¼ cup of baking soda. Stir the ingredients until they dissolve completely. Soak the solution up with a sponge. Wring out the excess water and wipe the cupboards. Apply baking soda on stubborn grease stains. Rinse the solution and baking soda off with hot water. Dry the cabinets with a towel.